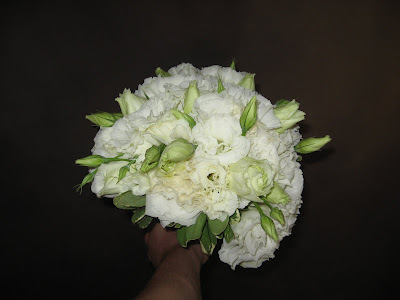 These bouquets use ordinary flowers in very unique ways. They were beautiful and awesome, just like the ladies that picked them…….. 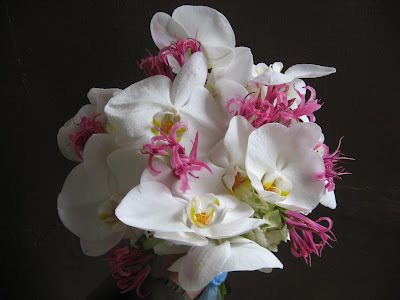 This round, hand-tied bouquet of phaelenopsis orchids, pink nerene lilies, and white hydrangea really combined texture and drama to create a unique look for the bride. This tear-drop cascade bouquet with pink roses, cymbidium orchids, hydrangea, lily grass, and jade berries was the perfect bouquet for this laid-back, garden style wedding. 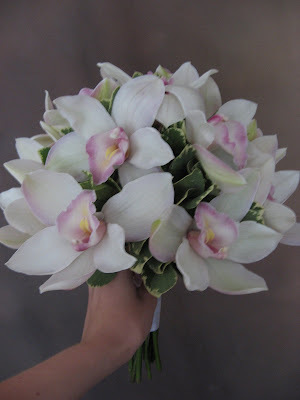 Here are the cymbidium orchids again, this time in a round, hand-tied look. 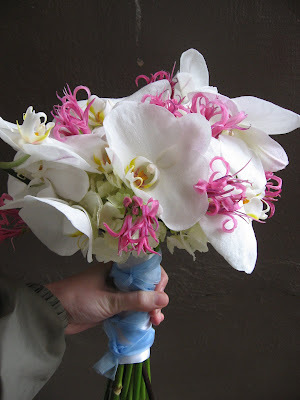 Even though orchids don’t have long stems, we created that illusion for this bouquet. 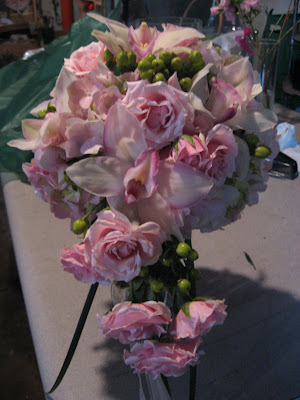 This bridal bouquet had a very soft, romantic look. 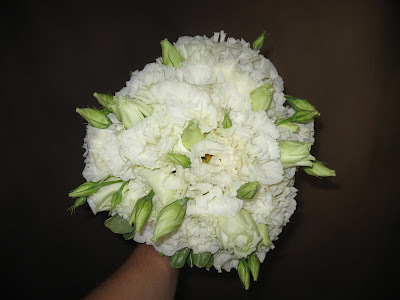 It is all white lisianthus, clustered together to create this lush, hand-tied bouquet. It took about 30-40 stems of lisianthus! 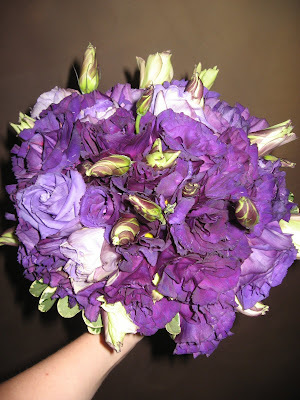 This bouquet of purple lisianthus was the bridesmaids’ bouquet for the white lisi bride. All soft, delicate flowers for a gorgeous wedding day.